Members of the Team Frisco International Children's Games contingent comprised of Summit Nordic Ski Club and Team Summit coaches and athletes pose for a photograph on a podium on Tuesday in Lake Placid, New York. A collection of Team Frisco athletes and coaches pose for a photo with the International Children's Games sign earlier this week in Lake Placid, New York. Team Frisco athletes and coaches pose for a photo at the site of the 1980 Miracle On Ice, the Lake Placid Olympic Center, after the openign ceremony of this year's International Children's Games. 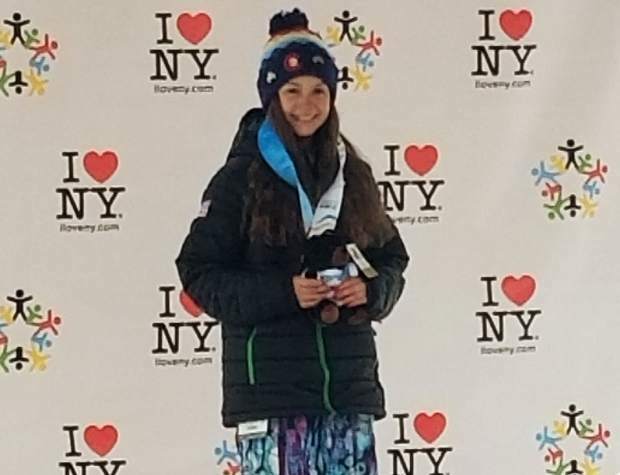 Team Frisco swept the podium in the girls snowboard slopestyle competition at the International Children's Games in Lake Placid, New York. Pictured from right to left are Alina Cospolich, bronze, Alyssa Moroco, gold, and Jadyn Dalrymple, silver. 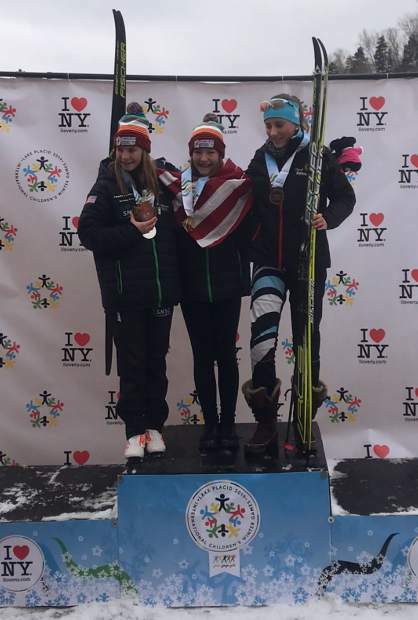 Team Frisco on Tuesday took gold and silver in the Nordic girls classic distance ski race at the Lake Placid, New York International Children's Games. Pictured at left is silver-medal winner Annabelle Pattenden while gold-medal winner Nina Schamberger is center. 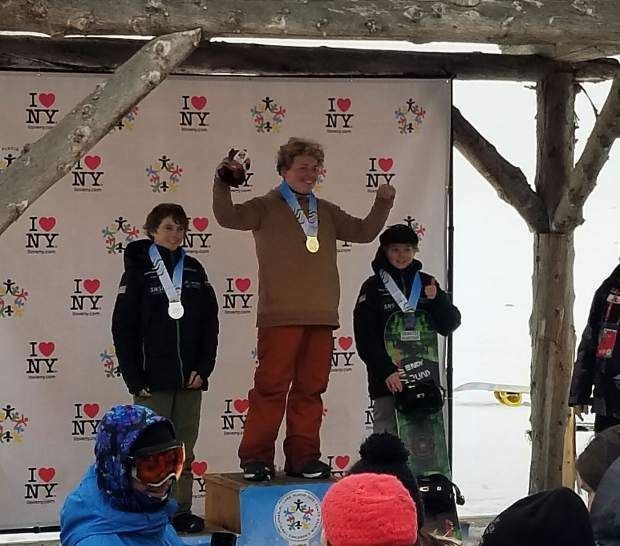 Team Frisco athlete Alex Thisted stands alone atop the podium after winning snowboard slopestyle gold at this week's International Children's Games in Lake Placid, New York. 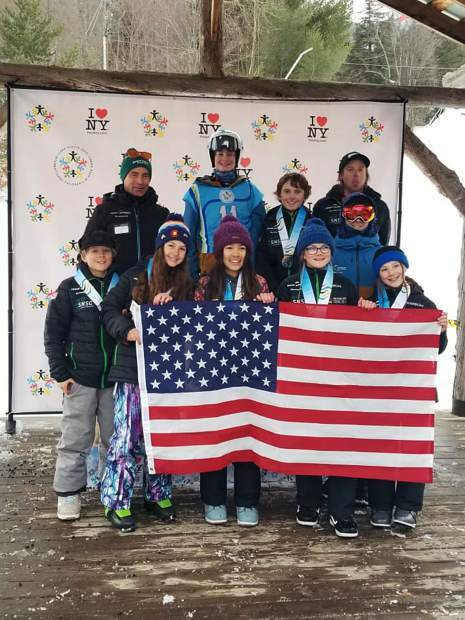 Team Frisco placed two athletes on the boys snowboard slopestyle podium at this week's International Children's Games in Lake Placid, New York, including silver medalist Karis Stang (left) and bronze medalist Bodie Heflin (right). 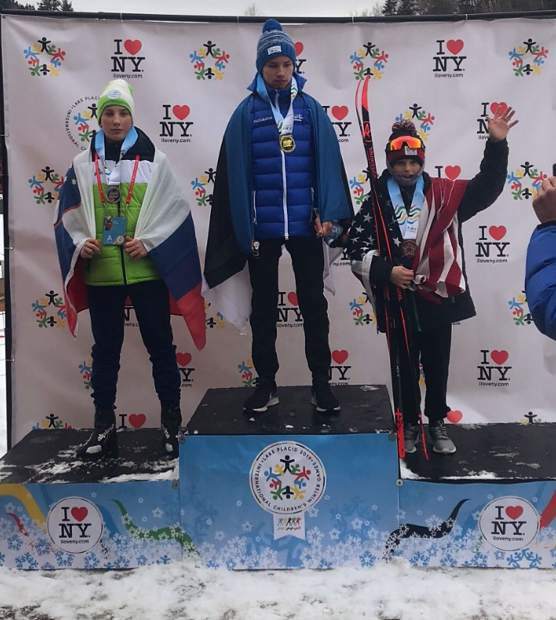 Team Frisco and Summit Nordic Ski Club skier Nico Konecny, right, wears the American flag after winning bronze at the International Children's Games in Lake Placid. 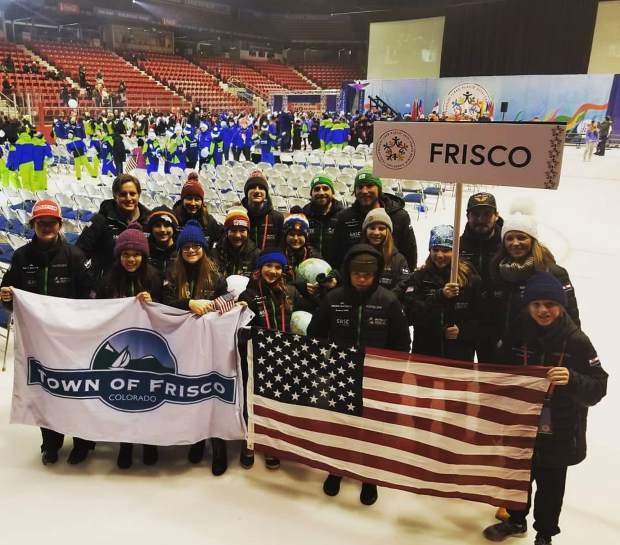 Members of the Team Frisco International Children’s Games team got a taste of Lake Placid, New York’s “Welcome to the Olympics” feel this week. It came when the team’s bus drove up and over the Adirondack Mountains’ Cascade Pass, past the MacIntyre Mountains and around the bend in the road, into the tiny two-time Olympic town. It’s at that curve in the windy state highway — as the flashing red light of the towering 1980 Olympic ski jumps come into view — when you know you are in Lake Placid, the site of the 1980 Miracle On Ice. For Team Frisco, that moment was the start of something really special at this week’s International Olympic Committee-sanctioned event for 12-15-year-olds from across the globe. Through two of the three days of competition, the Team Summit and Summit Nordic Ski Club athletes who comprise Team Frisco medaled 13 times in just seven events. 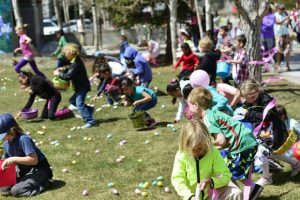 Though the International Children’s Games doesn’t keep a medal tally like the Olympics, the performance from Team Frisco’s dozen athletes is one of the more impressive of the 33 teams from 14 different countries. Beyond the podium, Team Frisco had 21 top-12 finishes, including 18 in the top five. To lead the way for Team Frisco, Summit Nordic Ski Club’s 13-year-old Nina Schamberger won a pair of gold medals. 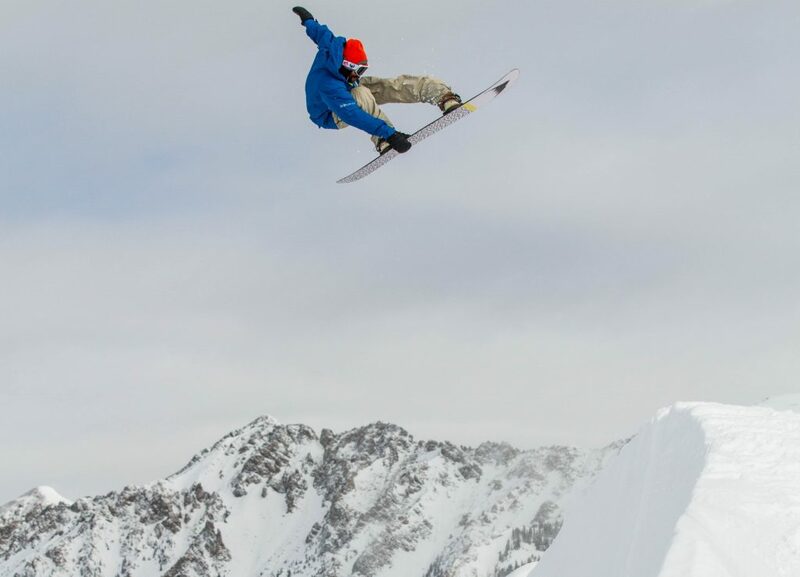 Jadyn Dalrymple, 12, won gold in boardercross, while Moroco, 12, won gold in snowboard slopestyle and Alex Thisted won gold in girls freeski slopestyle. The bounty of podium finishes for Team Frisco came after the Olympic-esque ballyhoo of the opening ceremony at the site of the Miracle On Ice, Herb Brooks Arena at Lake Placid’s Olympic Center. The ceremony had dancers along with a torch relay that included at least one member of each city. The kids have also enjoyed the Olympic tradition of trading pins and gear with athletes from other countries. 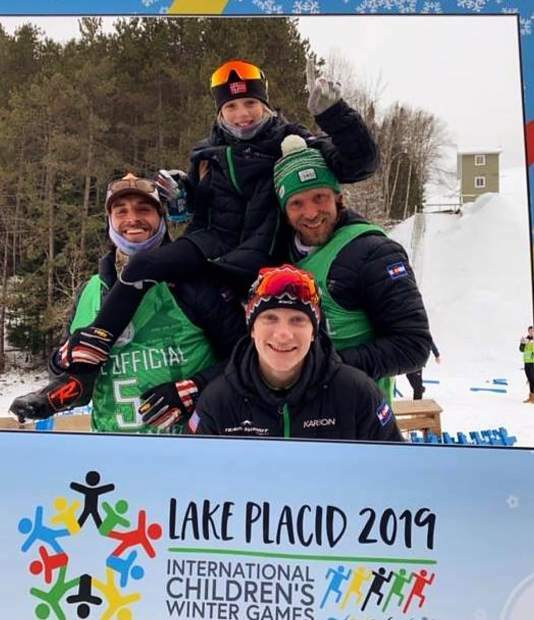 As of press time, some of the favorites that Team Frisco athletes have traded with include Lake Placid and participants from Iceland, Slovenia and Japan. 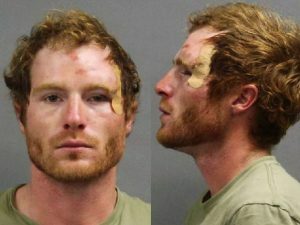 “It was really cool to meet a lot of new people from around the world and just talk with them,” Dalrymple said. The games have also served as an eye-opening experience for the athletes in terms of competing in northeast mountain weather. On Tuesday, Team Frisco athletes competed atop icy surfaces in pouring rain. Then, on Wednesday, course surfaces were a little slower after 8 inches of snow dumped on the Adirondacks overnight and into the morning. Schamberger captured the win in the 3-kilometer Nordic classic at the base of those iconic 1980 Olympic ski jumps. Schamberger was joined on the podium by her teammate Annabelle Pattenden while SNSC teammates Nico Konecny and Henri Nicolas took bronze and fifth place, respectively, in the boys race. 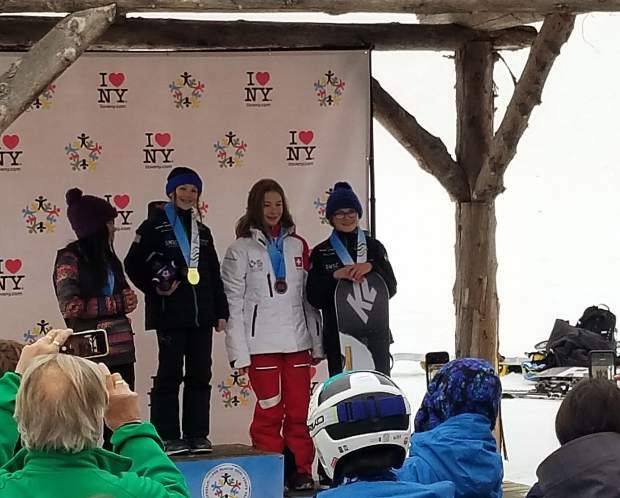 Other Team Frisco podium placers on Tuesday included Dalrymple’s silver and Alina Cospolich’s bronze in girls snowboard slopestyle, joining Moroco on the podium for a medal sweep at the 1932 and 1980 Olympic venue of Whiteface Mountain. Team Summit teammates Karis Stang and Bodie Heflin took silver and bronze, respectively, in boys snowboard slopestyle. Team Summit’s Walker Robinson took fifth in boys freeski slopestyle while Stella Buchheister placed 11th in girls giant slalom. On Wednesday, Dalrymple raced to her gold in girls boardercross, joined on the podium by Moroco in silver with Cospolich in fourth place. Team Summit’s Bodie Heflin and Karis Stang finished in third and fourth place, respectively, in boys boarder cross. Back at the Nordic course, Schamberger took first and Pattenden took fourth place in the final heat of the girls 1-kilometer Nordic freestyle sprint competition. In the boys competition, Summit Nordic saw Nicolas and Konecny take sixth and ninth places, respectively. 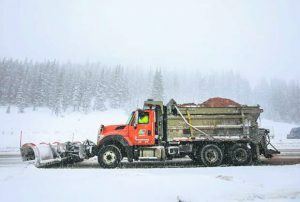 Thursday’s final day of competition will include a pair of events that will mix and match athletes from different cities: the inter-team Nordic relay and inter-team skiercross.